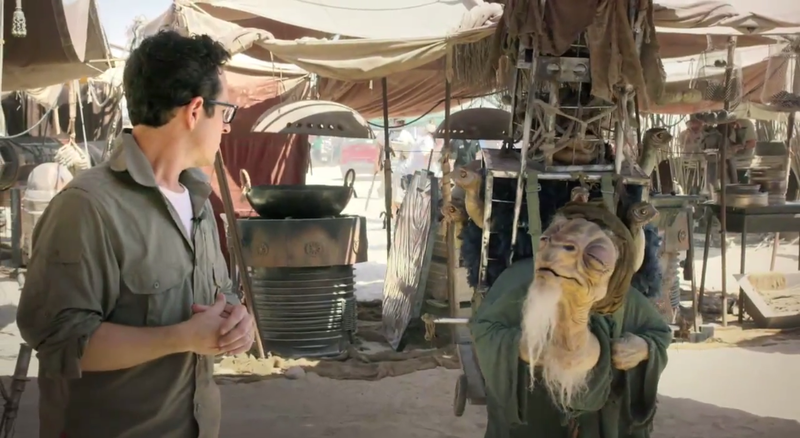 One lucky fan will have the opportunity to be in a Star Wars movie. It's probably going to be some kind of background extra, but still. That fan gets to say he/she was in a Star Wars film! It revealed one of the non-CGI characters who looks like he stepped straight out of Jim Henson's Creature Workshop. It promotes Star Wars: Force for Change which is a charitable initiative dedicated to finding creative solutions to some of the world's biggest problems. I really like the direction this is taking. Giving someone an opportunity to be in the movie while at the same time raising money for charity is a great idea. And the non-CGI characters are going to greatly impact the acting because the actors will finally have something to act with instead of tennis balls or green screen markers. Plus, if done correctly, a physical entity will always trump CGI. For more information and a chance to enter the contest, you can go here.